The desire to earn a full-time income while traveling has become a popular trend, but is it realistic? Are ‘digital nomads’ simply wasting time? Surely you have to be ‘rich’ before you can earn a reasonable living while traveling? Well — that’s not the case anymore. Digital transformation has massively widened the playing field. The truth is that anyone can earn a full-time income online while traveling the world. The online world provides incredible opportunities, but only for those willing to make the necessary and changes to their way of life. Digital nomads are people who have successfully found a way to earn a living online while traveling full-time. Digital nomads come in all shapes and sizes, from young independent graduates to couples in their fifties and sixties longing to see the world. Many digital nomads keep up their lifestyle for several years before finding a country to settle in, but others set out to keep up their unconventional way of life forever. First of all, ask yourself this: are you ready to continuously learn about local customs and culture, your industry, and new digital technology? If you seriously want to commit to a digital nomad lifestyle, you must be prepared to do all of the above, as well as adopt a practice of flexibility. There will be many places that occasionally have issues with WiFi or may not have a WiFi connection at all. There will be times when culture delivers the unexpected, or when you suddenly have to think on your feet. You need to plan, prepare, and adapt. Traveling and working at the same time demands a high level of compromise, flexibility, and common sense. Automate some of your email and social media comms so that you can keep the basics going when you are traveling from place to place. Carry extra chargers, battery packs, and data ports so that you never run out of power. Check out our smartphone charging hacks. When you want to travel and work at the same time, it makes sense to choose to do something that you are good at and enjoy doing. Working online and moving is not about ‘coasting,’ but about using your talents to upgrade your lifestyle. Many digital nomads decide to close their offices back home and give qualified legal or insurance advice to their clients online, while others turn to sell products from wholesale retailers, or producing their products or services. Nowadays, it’s effortless to set up a credible website and create a well-oiled sales machine with automation tools and freelancers. Think carefully about how you can maximize the value of what you do and multiply your efforts through training courses, webinars, etc. Other online businesses that work well include tutoring, teaching languages, selling ebooks, or for some lucky people, travel blogging. It’s a good idea to scour through other successful businesses on the market (like these lifestyle ones) that resonate with your skills and goals — you might find that snapping up an existing website is a quicker way to get up and running. 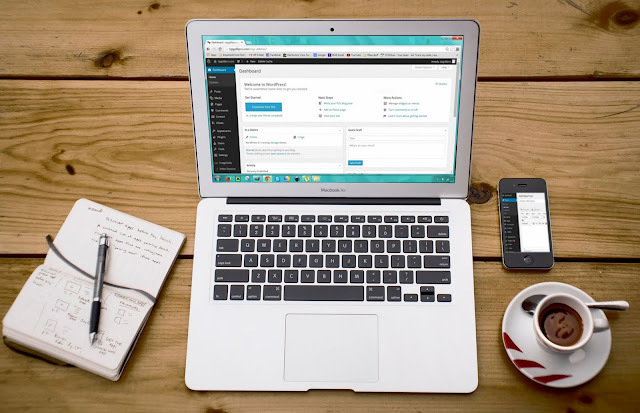 If you are setting up a digital business, you will need a site that looks the part. Regular content, a great design, and a sense of personality will help you stand out. Remember that most people functionally use websites — they are looking for answers, not your life story. Keep things actionable and customer-oriented. This might be your dream, but you need them to buy into your products or services, not just your brand. If you want your business to revolve around you and your travels — go for it. Just make sure it’s the right commercial decision. If you are allowing people to make purchases through your website (which you definitely should), consider adding a shopping cart feature and secure payment method to your site. Your options include Bigcommerce, Shopify, and Volusion – take a look at this review of the leading platforms to see which one would suit your needs the best. Having an externally hosted solution takes the pressure off while you’re traveling the world. Save yourself the potential stress and legal predicaments by making sure you study the domestic laws of each border you step into. Each country has its visa requirements and may not permit you to work within the state; this can include online work. While many countries will allow you to continue your business if it’s based abroad, there may be exceptions. When running a business or doing something a little different, you’ll notice that there will be many who feel the need to impart some advice. The best thing you can do is mentally bin all advice you receive from people who have no experience in what you plan to do. Although many have the best intentions, wrong information can be detrimental to your success. Instead, listen to those who know what they are doing. Many great entrepreneurs are willing to give their advice out for free through TED videos, blog posts, or even a kind offer of a cup of coffee. Also, be sure to watch out for internet scams and be very careful when paying for advice. As you travel, you are bound to meet people from all walks of life. You may happen to stumble upon locals who are interested in your business and can spread the word around. For example, you want to to visit a few tourist spots just a few miles from your home. Look at areas that are within driving distance from where you live and see if there is something that you can get out and enjoy. If you live in New Mexico or Northern Arizona, going on a short road trip to southern Arizona can be a very enjoyable experience. You can watch an ok corral reenactment, visit a couple of wineries, tour mines, and even cross the Mexico border to enjoy a delicious meal. This type of trip makes a perfect weekend getaway. Keep business cards with you at all times and consider running an online store with an easy-to-search name. You may get value out of local networking and business meetups and events, so keep your eye out for anything relevant going on. Take note of volunteer schemes too, as volunteering in other countries can give you both fantastic experiences and a great chance to meet people in careers relevant to your industry. 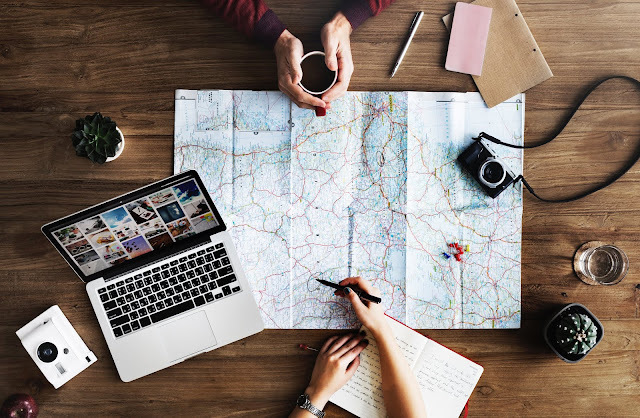 Even if you don’t intend to monetize your blog, keeping it regularly updated can help you keep track of your adventure, as well as provide valuable information to others looking to travel in a similar direction. You may find yourself becoming part of a community of digital nomads, all of whom earn a full-time income online. Belonging to such a community can help tackle any brief moments of loneliness and provide a valuable support network if you get stuck. You can also think of your blog as an online CV and share it with potential clients if it details relevant work experience. It is indeed possible to earn a full-income and travel at the same time. Take a good look at all available options, consider what business venture suits you the best, and go for it. Enjoy the experience! Kayleigh Alexandra is a nomadic writer for Micro Startups — a site dedicated to spreading the word about startups and entrepreneurship all over the world. Visit the blog for the latest startup insights from top experts and inspiring entrepreneurial stories. Follow us on Twitter @getmicrostarted.